Drowning Creek Rd and Ben Reeves Rd. Property owned by J.D. Hamilton, R.L. Covington, Arthur Richardson, Ben Reeves, F.A. Johnson, B.F. Reeves Jr, and Charles Kaylor. 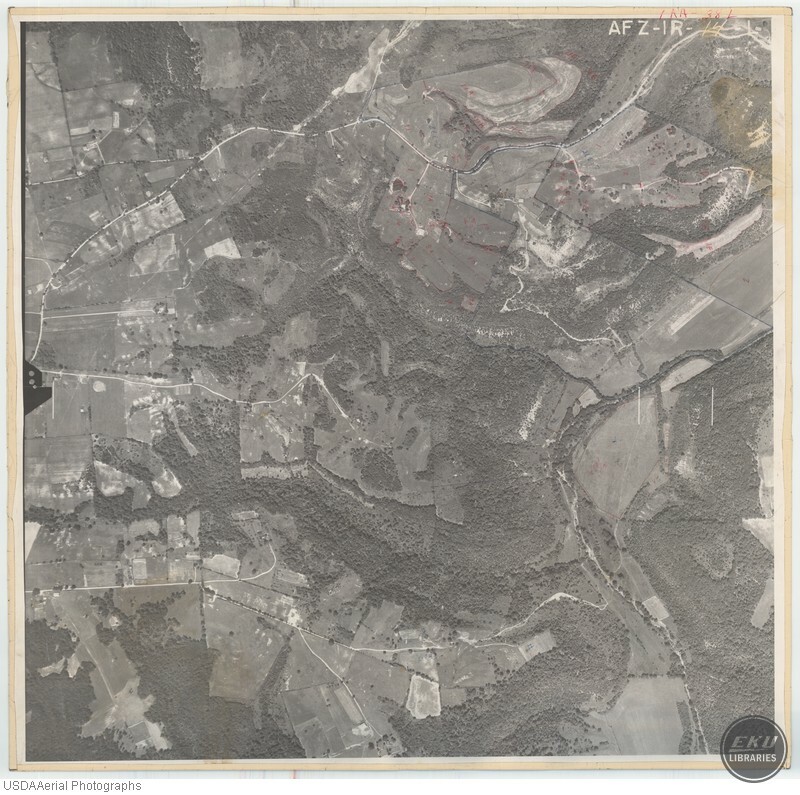 USDA, “East Edge of Madison County,” Digital Collections, accessed April 19, 2019, https://digitalcollections.eku.edu/items/show/831.